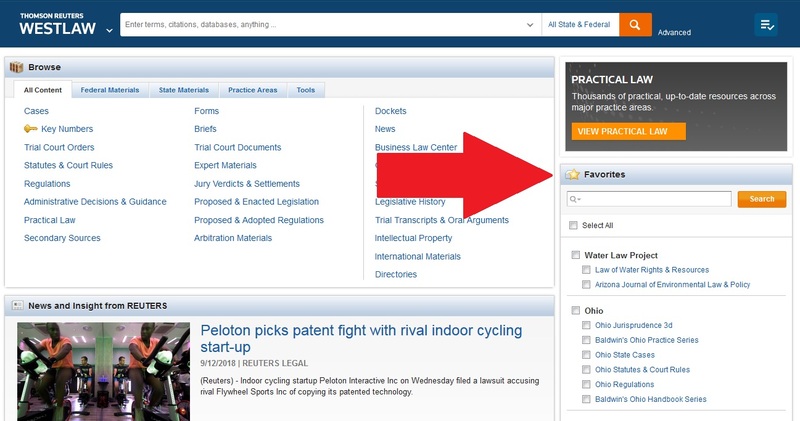 Save time on Westlaw by using the Favorites box on the research homepage. The Favorites box appears on the right-hand side of the screen and is automatically populated with your most frequently used sources. You can also add sources yourself that you want to be able to access quickly and easily. If a resource can be added to the Favorites box, there will be a gray star next to the phrase “Add to Favorites” by the title of the resource at the top of the screen. Clicking on the star will bring up a small window asking to which group to add the source. 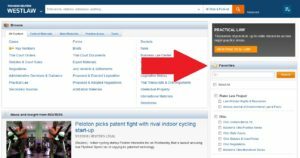 You can organize your Favorites box by creating groups for your jurisdiction or for different topics you may be working on. The Favorites box contains its own search bar, enabling you to quickly pre-filter to your top sources. Simply check the box next to the source(s) in your Favorites list, then enter your terms in the search bar within the Favorites box, and go.